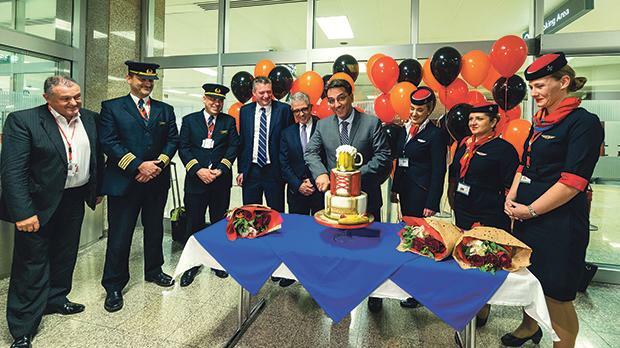 Air Malta chief executive captain Clifford Chetcuti (centre) celebrating the inaugural flight to Leipzig together with Tourism Minister Konrad Mizzi, chairman Charles Mangion, CCO Paul Sies, Captain Cedric Fenech Azzopardi and the crew of the first flight. Air Malta is setting its sights on extending its record passenger growth numbers into the winter season with the start of its winter flight schedule. On the back of unprecedented passenger traffic during the summer months, the airline’s strategy sees a new focus for the winter, with 27 scheduled destinations, an increase of nine destinations over last year. The result is a 40 per cent capacity increase covering a selection of 300 weekly departures. Air Malta is committed to growing inbound and outbound tourism especially during the shoulder and winter periods. The airline aims to offer a diverse selection of main city and hub airports and a high level of frequencies to and from Malta, giving passengers optimum choice and optimum value for money as well as several options to connect beyond to/from airports nor served with direct flights. Several of the new routes launched in the last 12 months have proven to be highly successful and will subsequently be retained, including Lisbon, Cagliari, Malaga, Casablanca and Kiev. The 5th Freedom Flights between Catania and Vienna and between Catania and London Southend will also be retained. 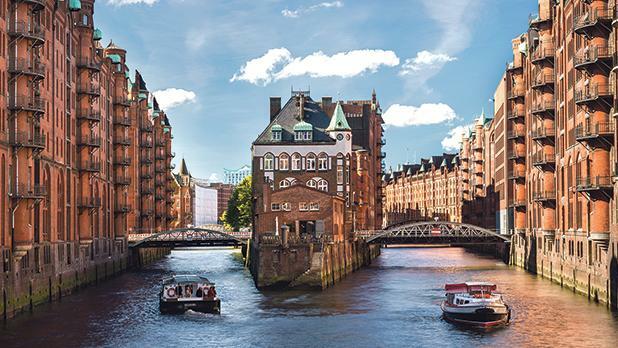 Meanwhile, the German market, which has for many years been a mainstay to both the airline and the country’s tourism success, will be given renewed focus. The airline will be placing a lot of new capacity and investing in the German market by adding three new destinations; the capital Berlin, Hamburg and Leipzig. With double daily flights to Munich, five weekly to Frankfurt and twice weekly flights to Dusseldorf, Air Malta is making sure to cover the German market with 50 weekly departures to and from six airports. This winter (November-March) Air Malta will operate direct flights to Amsterdam, Berlin, Brussels, Cagliari, Catania, Casablanca, Dusseldorf, Frankfurt, Hamburg, Leipzig, Lisbon, London Gatwick, London Heathrow, London Southend, Kiev, Malaga, Milan, Moscow, Munich, Palermo, Paris Charles De Gaulle, Paris Orly, Rome, Tel Aviv, Tunis, Vienna and Zurich. The airline will also operate flights between Catania-Vienna, Catania-London Southend and Cagliari-London Southend. The winter schedule started on October 28 and runs up to the end of March 2019. For more information, visit www.airmalta.com, call Air Malta’s sales office on +356 2166 2211 or log onto www.facebook.com/AirMalta.